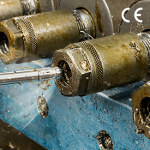 Gears, especially in open gearing applications, share a set of well-known performance problems that crop up again and again across many different applications. The most common ones include excessive noise, vibration, heat, weight and corrosion. Gears also tend to be either over-lubricated or subject to wear, which respectively causes contamination from grease or metal particles. At best, all these performance issues will result in gears that are expensive to maintain. At worst, they will cause gears to fail prematurely, driving costs even higher. Download our paper to read how you can solve all of these problems with good polymer gear design practices. Right Coupling for your motion control application? If you have a repetitive task with a payload less than 22 lbs, chances are a Universal Robot can automate it. At Automate, the cobot leader will be showing new 7th axis capability, force/torque sensors and other new partner solutions offered through the rapidly expanding UR+ platform. A technologist at NASA’s Goddard Space Flight Center has teamed with a couple of researchers at Brigham Young University to advance an unconventional radiator that would fold and unfold, much like the V-groove paper structures created with origami, the art of transforming a flat piece of paper into a finished sculpture. The novel radiator controls the rate of heat loss by performing shape-shifting maneuvers. If you're looking for a basic guide to sheet metal design, this one from Xometry will serve your needs well. Be sure to follow the design requirements and tolerances in this guide to ensure parts fall closer to design intent. This is the type of information you'll sock away and then refer to again and again. If you always liked the idea of solar panels but thought their industrial look was off-putting, you now have options. Founded at MIT, Sistine Solar creates custom solar panels designed to mimic home facades and other environments. SolarSkin is a layer that can be imprinted with any image and embedded into a solar panel without interfering with the panel’s efficacy. Now that's a bright idea. 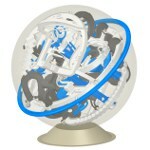 ANSYS SpaceClaim® is a unique 3D platform for all your modeling. This versatile software’s intuitive approach is ideal for design, reverse engineering, 3D printing, manufacturing and sheet metal. To find out how SpaceClaim is easy to learn and use, try it now. A prototype carbon fiber composite subframe developed by Magna International and Ford Motor Co. reduces mass by 34% compared to making a stamped steel equivalent and achieves a dramatic 87% reduction in the number of parts. Lawrence Livermore National Laboratory (LLNL) researchers, as part of a Navistar SuperTruck I team, helped design a new type of tractor-trailer truck that improves fuel economy by 124%, compared to heavy vehicles on the road today. Seventy-four percent of this improvement comes from aerodynamic enhancements. 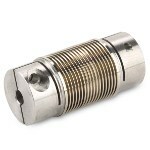 Servometer® precision motion control couplings are available with both set screw and clamp style ends. Electrodeposited bellows technology offers seamless construction and the best combination of flexibility and strength among couplings technologies. 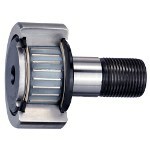 These versatile, flexible nickel and stainless steel shaft couplings are capable of accommodating misalignments for parallel, angular and axial motion. Our recently released video showcases their unique characteristics, capabilities, design and various applications. EXAIR’s new Model 1004SS, M4 NPT Back-Blow Air Nozzle has been designed to deliver the smallest, most effective airflow for blowing debris and liquids from small pipe or hose inside diameters, channels, bores, holes, internal threads, and other internal part features. An array of holes provides a forceful 360-degree airflow to clear out coolant, chips, and light oils from machining processes. This nozzle prevents blowing chips further into a part, tube, or pipe and eliminates any safety hazard created by blowing debris out the far end of a pipe or tube. Effective on diameters up to 1 in. Smalley has expanded the Crest-to-Crest® Wave Spring Series. Smalley's popular C (imperial) and CM (metric) Series have been expanded; standard sizes are now available from stock down to .188 in. and 5 mm in diameter. Smalley Wave Springs can replace conventional coil springs while occupying only half the space and providing the same force and deflection. Request complimentary samples today! The new Flexion N-Series 6-Axis robots feature a compact folding-arm design poised to dramatically change the scope of automation in applications requiring smaller robots and workcells. 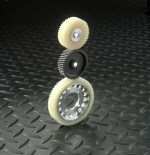 The first robot introduced in the series, the Flexion N2, offers a 450-mm reach and 2.5-kg maximum payload. Unlike any other 6-axis robot on the market, the Flexion N-Series features a unique tight-space motion capability, maximizing efficiency for faster cycle times. 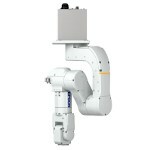 In addition, the folding arm reduces required workspace up to 40% compared to standard 6-axis robots. IKO International now offers two different long-term lubrication technologies for cam followers: a self-lubricating solution for the cam follower itself, as well as an external mechanism that lubricates the bearing surfaces against the rail. IKO’s line of C-Lube cam followers include a thermoset solid lubricant pre-packed into the bearing space for long-lasting, maintenance-free operation. Stud diameters are available from 5 to 20 mm. IKO also offers separate, hood-like units that may be attached to metric cam followers. 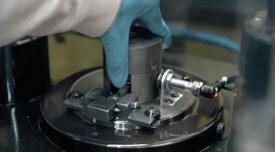 These supply high-quality lubricating oil to the outside diameter of the cam follower outer ring and track surface, enabling uninterrupted smooth motion on track surfaces for several years. 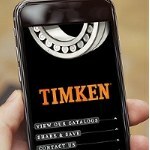 The Timken Company, a global leader in bearings and mechanical power transmission products, has released new catalogs that include housed units, seals, and tapered roller bearings. The catalogs feature expanded offerings, more technical information, and the latest on the company's growing product lines. Customers can access the company's catalogs through a new mobile app for smartphones. The ABB Ability Smart Sensor for motors uses compact sensors to pick up multiple data streams from low-voltage motors and provides information about motor health and performance via a smartphone or a dedicated web portal. 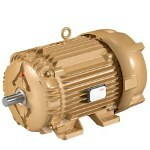 By converting regular LV motors into intelligent, connected machines, the solution enables advanced maintenance planning that will help businesses cut costs and boost productivity. Predictive analytics based on data from the solution can reduce downtime up to 70%, extend motor lifetime by as much as 30%, and cut energy consumption up to 10%. This summer, an ice chest-sized box will fly to the International Space Station, where it will create the coolest spot in the universe. Inside that box, lasers, a vacuum chamber, and an electromagnetic "knife" will be used to cancel out the energy of gas particles and freeze gas atoms to a mere billionth of a degree above absolute zero. That's more than 100 million times colder than the depths of space. If your quick run to the corner store for milk and donuts includes the need to hit 0 to 60 mph in less than 3 seconds while looking like a million bucks, the new 805-hp Mercedes-AMG GT Concept four-door is right up your alley. Brigham Young University engineering professors have created an origami-inspired, lightweight bullet-resistant shield that can protect law enforcement from gunfire. Made of 12 layers of Kevlar, the barrier can be folded compactly when not in use. When expanded -- which takes only 5 seconds -- it can provide cover for officers and stop bullets from several types of handguns. 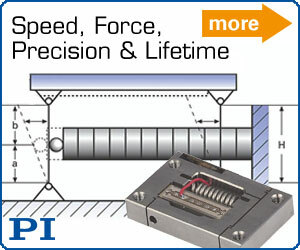 Introducing FUTEK's brand new in-line load cell: the LCM100 model. 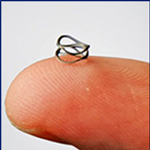 It’s an ultra-miniature threaded load cell that has a capacity range of 1,000 g to 25 lb. RoHS complaint, the load sensor is great for both tension and compression applications. The most impressive feature of the LCM100 is its very low deflection, which allows it to provide high response rates and superior settling times. See what makes the LCM100 a standout. Learn about the design and product benefits of using Metal Injection Molding (MIM) technology, where thermoplastic injection molding meets powdered metallurgy. Product benefits include high performance, high density, high strength, and corrosion resistance. For the designer, advantages include the design freedom to create more complex geometries, tighter tolerances, and improved density. Materials include stainless steel, copper, low-alloy steel, cobalt chrome (F-75), and other specialty or custom materials.